The effect is very simple, yet intriguing! Seven colors of the rainbow in small rope rings change into a chain of color rope links and finally into a large ring of rope. The ropes are brightly colorful knitted ropes and the props include a basic double change bag. The kit comes in a worker's nylon zipper bag, with simple written instructions. Learn in one minute, all ready to go. It is very easy to do, very visual to understand. Packs small and plays big for small groups or on stage. It is great to perform for children or with children. You can turn this into a five-to-ten-minute game show at a children's party. First hide the single color rings in the room and do a treasure hunt. Ask the children who found the rings to line up in the correct rainbow colors order to put their rings into the change bag. Ask them to link their arms into a human chain, and watch the magic ropes change into a chain as well! Then ask the children to join their hands and form a large circle and change the rope chain into a large circle, too! The kids could even be taught the value of being good neighbors and learn to work and play together with other children as a group. Learn the name of the colors in different languages and maximize cultural diversity among the children's group. Teachers, educators, teambuilding workshop instructors and corporate trainers: You can use this as a very visual tool and magic lesson to demonstrate the five stages of team development, and also talk about the concepts of team work and synergy. 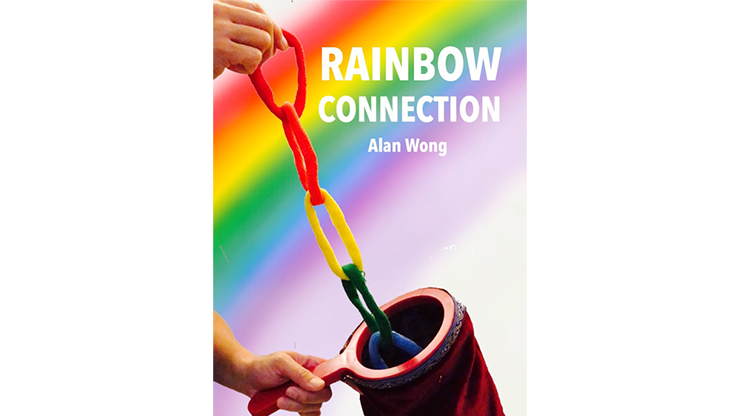 The Rainbow Connection is the magical connection for everyone.